Glens Falls Region's Best - Encourage Your Fans To Vote For Your Business! 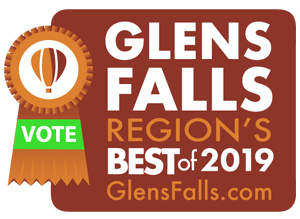 Attention Glens Falls Area businesses: Encourage your customers to vote YOU into the Glens Falls Region's Best! A simple "vote for us" button or badge is an easy way to turn your online web traffic into votes. Chances	are,	some of your most loyal, satisfied customers are fans of yours on Facebook or follow you on Twitter or Instagram. Reach out to these people and let them know you need them! Share the survey on Facebook, Tweet it, and post about it on Instagram. Think of how many emails you send out each day. Now think of how many people you could reach if you added a "vote for us" button to your email signature with a link to the survey. Send out an email newsletter (or add a blurb to your regular e-newsletter) to let your clientele know that the survey is now open for voting, and ask them to cast their votes for you! Hurry - voting is only open for a limited time, so the sooner you alert your customers and ask for their votes, the more votes you will be able to receive. Alert your customers now!